Dacia’s All-New Duster Cleans Up Its Act. 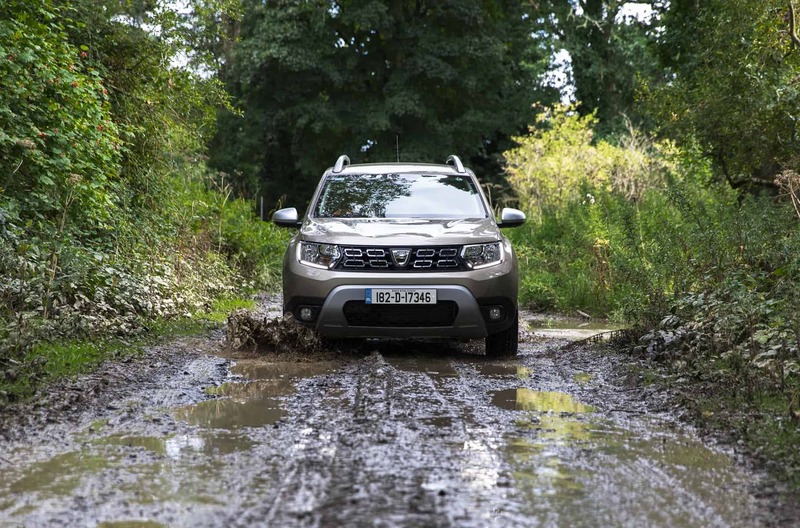 The Dacia Duster has been a huge hit since the Renault-owned Romanian brand came to Ireland in 2013. 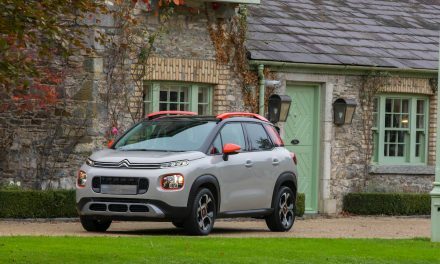 Using a variety of Renault engines and drivetrains, along with a bespoke body and interior, it was Ireland’s cheapest Sports Utility Vehicle (SUV). 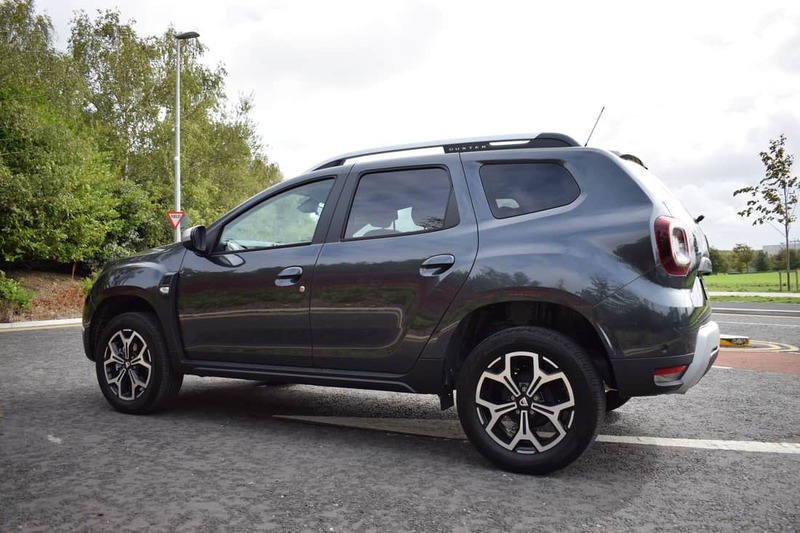 Buyers found the Duster’s simplicity, ruggedness and practicality very appealing, while the SUV’s raised ride height provided excellent visibility too. 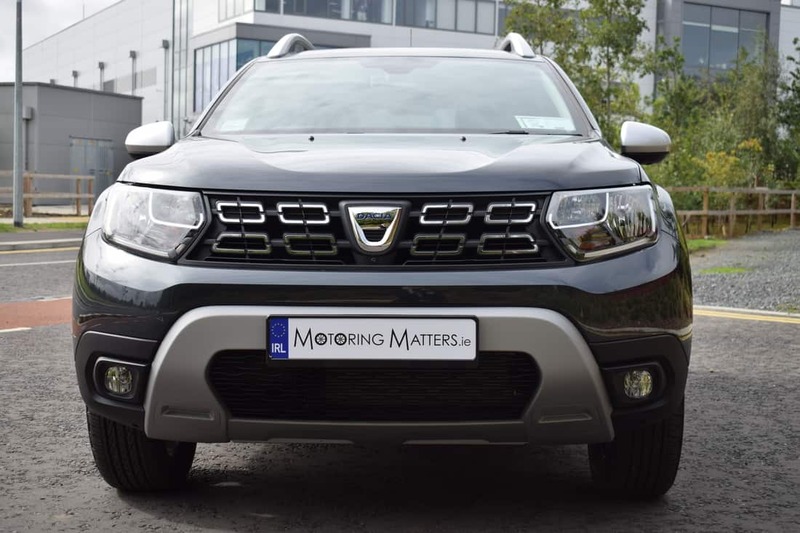 With over 10,000 first-generation Duster’s sold in Ireland in just five years, it can confidently claim the title of Dacia’s best selling car. Dacia has just launched its all-new, 2nd generation, Duster to much acclaim and anticipation. 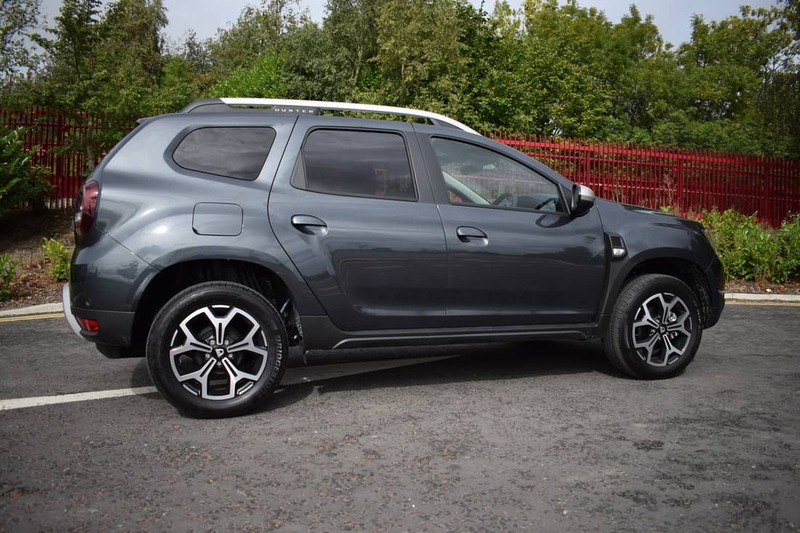 The exterior styling changes that have been made seem relatively subtle and minor at first glance, but take a second look and it will become evident that the new Duster enjoys an appearance that is more sophisticated and rugged than before. While the design is a clear evolution of the previous car, Dacia insists every panel has been changed. At the front, the design of the headlight clusters is new, while the headlights themselves have been moved closer to the corners of the front end in order to emphasise the new Duster’s sportier stance. There’s a new wider front grille, while the base of the car’s windscreen has been brought forward by 100mm and the screen itself is now more steeply raked to give the impression that there is more room in the cabin. The rear of the new Duster is marked out by distinctive new tail-lights incorporating a ‘cross’ insignia, while a new tailgate door design also features. Not prepared to skimp on safety, Dacia has reinforced the entire vehicle frame on every new Duster, while boosting both active and passive safety features too. 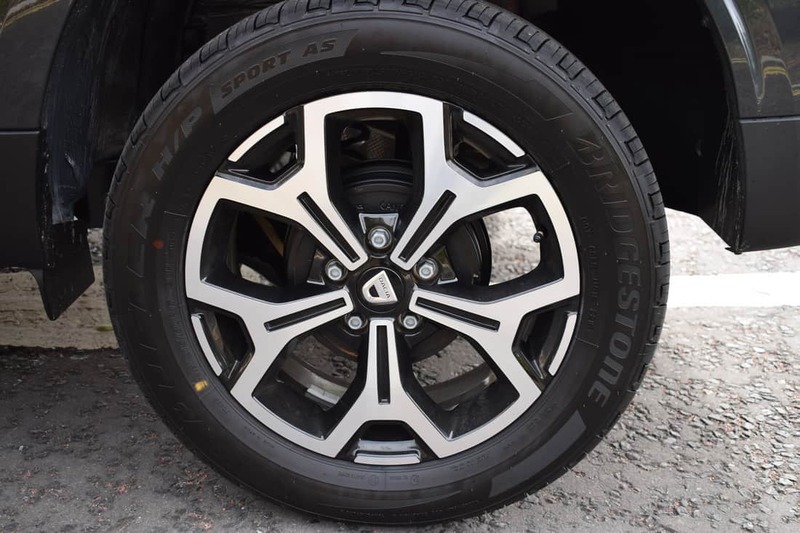 Hill Start Assist is standard across the entire all-new Duster range, as is ABS, Emergency Brake Assist, Electronic Stability Control, Traction Control, multiple airbags (front, side & curtain), LED daytime running lights, 2 x ISOFIX child seat anchorage points and a Tyre Pressure Warning Light. Driving pleasure is enhanced further by standard equipment like a gearshift indicator, stop & start function, ECO driving mode, Bluetooth, speed limiter and double-optic headlights. Three trim levels are available in the new Duster SUV range – entry-level ‘Essential’, mid-spec ‘Comfort’ and range-topping ‘Prestige’, while engine options consist of a 1.6-litre ‘SCe’ (petrol) producing 115bhp and a 1.5-litre ‘Blue dCi’ (turbo-diesel) also producing 115bhp. Dacia’s ‘Blue dCi’ diesel engine is equipped with a system to reduce Nitrogen Oxide emissions by injecting an urea-based fluid, AdBlue®, into the exhaust system. A dashboard message will remind you when the AdBlue® needs topping up via a specific AdBlue® filling cap located next to the usual Diesel fuel filler cap. A full tank of AdBlue® will last for 6 full tanks of Diesel. 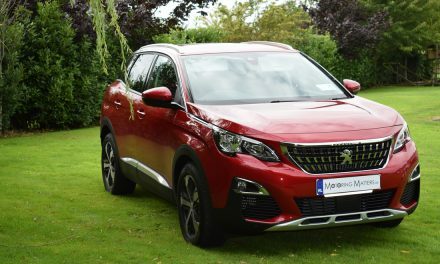 Two-wheel-drive is standard across the range, with four-wheel-drive optional in diesel-engine guise for a very reasonable premium of €2,000. My test car was an all-new Duster ‘Prestige’ 1.5-litre Blue dCi 115bhp, 6-speed manual, finished in Slate Grey metallic paint. Building on the generous equipment level of the Essential and Comfort models, Prestige specification includes 17” diamond-cut alloy wheels, Prestige upholstery, climate control, blind spot detection, keyless entry & start, parking sensors and a multi-view camera for ease of maneuverability. All of this is on top of standard ‘Comfort’ model specification, which includes cruise control, satin-chrome door mirrors, roof bars, side sills and skid plates, body-coloured door handles, ‘Media Nav’ satellite navigation, electric front & rear windows, rear camera, rear parking sensors and under-seat storage. 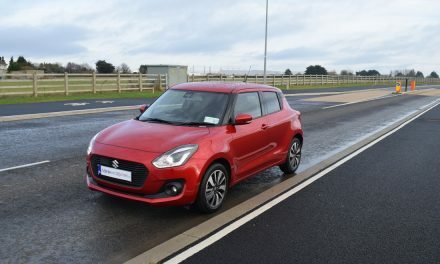 The punchy engine in my test car produces 260Nm of torque for swift acceleration, allowing the car to sprint from 0-100km/h in just 10.5-seconds, on its way to a top speed of 179km/h (where permitted). Having driven the previous generation Duster last year, I can honestly say that the all-new Duster is so much better in every crucial area. The new car not only looks more grown-up than the car it replaces, but it drives every bit as good as it looks. The new electro-mechanical power steering system does a fantastic job of filtering out shocks from broken road surfaces around town, while providing a well-judged feel at motorway speeds too. Overall body control in corners is good, with plenty of grip on offer, while highly effective brakes provide excellent stopping power. Dacia claim that, thanks to additional sound-proofing, cabin noise in the all-new Duster has been halved when compared to the previous model and this becomes very evident when on the move. This is an important step in the right direction for Dacia, and one which occupants of the new Duster will really appreciate. 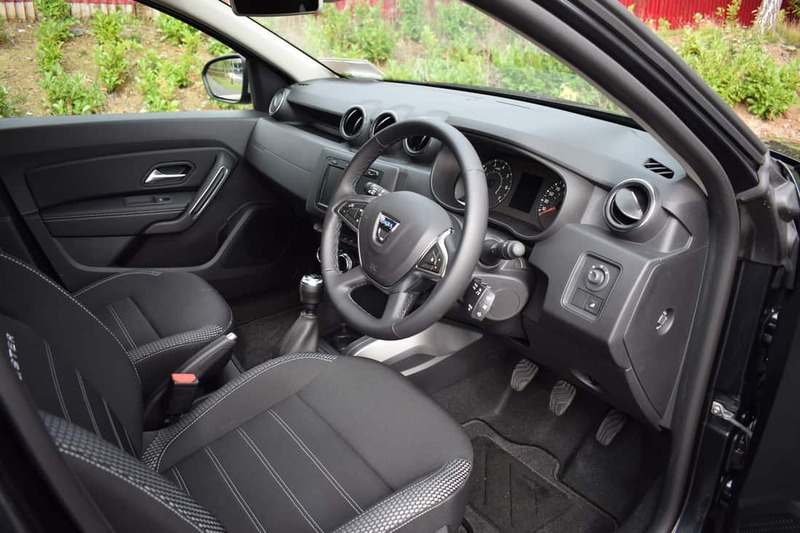 The cabin of the all-new Duster feels built to last, with a functional dashboard layout incorporating easy-to-read dials, while piano-style buttons above the ventilation controls add a touch of class. The new front seat cushions are longer than before and there is more adjustability too. The driver’s seat also gets an armrest for the first time and this can be tucked away when not in use. 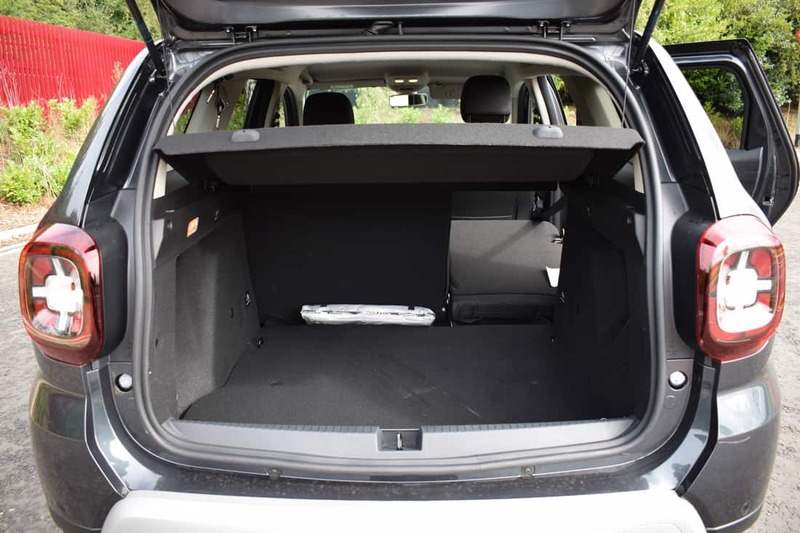 Thanks to the upright stance of the new Duster, boot space is a generous 445-litres with the rear seats in place. However, drop the standard split-folding rear seatbacks and this capacity increases to a whopping 1,623-litres for ultimate practicality. Dacia claim that as little as 4.3-litres of diesel can be consumed for every 100km driven on an extra-urban driving cycle, meaning that the Duster’s 50-litre fuel tank is capable of a potential range of 1,160km’s. 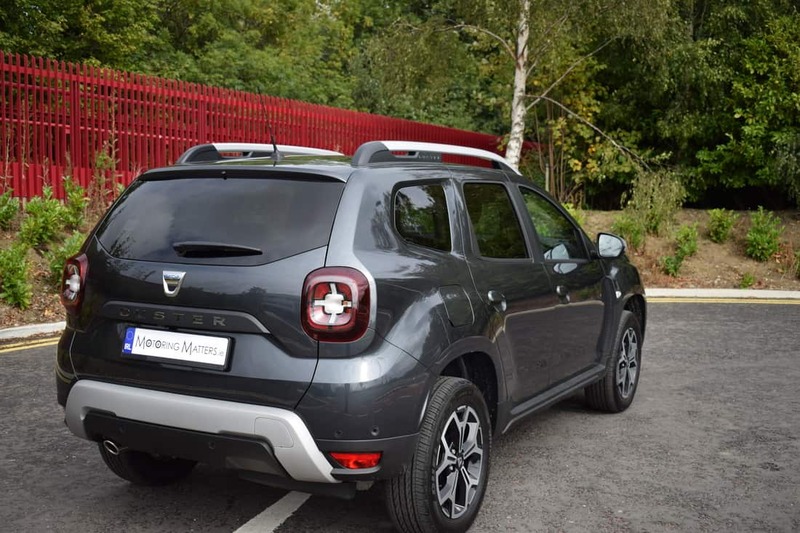 Annual road tax for the new Dacia Duster diesel 2WD is just €200, with an annual tax disc costing €270 in diesel 4WD guise and €390 for the petrol engine model. 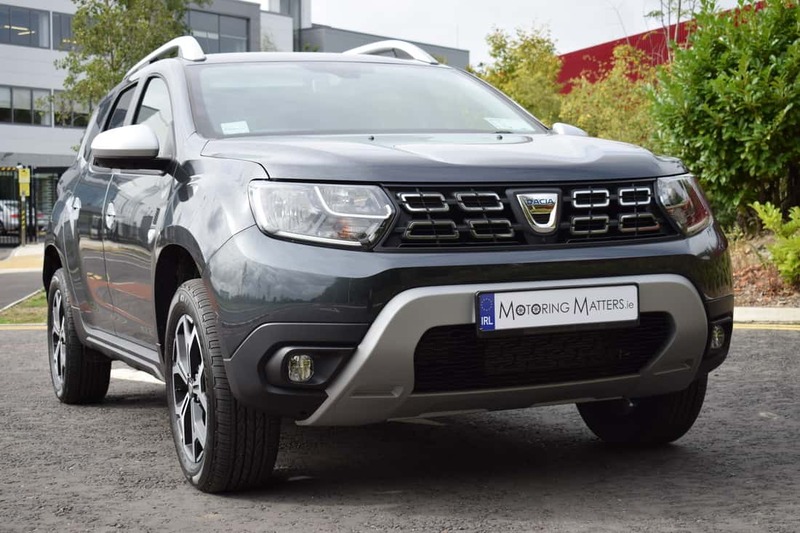 Overall, Dacia’s all-new Duster SUV looks and feels much smarter, slicker and modern than its top-selling predecessor and it is certain to be yet another huge success for Dacia. 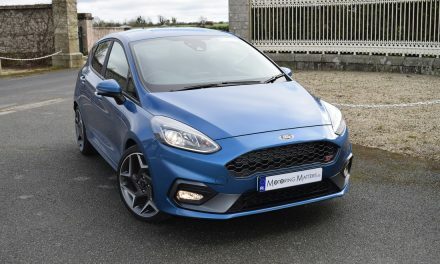 Ex-works prices start at just €17,390 for the 1.6-litre SCe ‘Essential’ model, €19,790 in ‘Comfort’ specification and €21,290 in range-topping ‘Prestige’ trim. Diesel engines carry, a very reasonable, €1,200 premium over their petrol equivalent. It is clear to see that the all-new Dacia Duster has ‘cleaned up its act’ and is destined for a bright future. Visit www.dacia.ie for further information. PreviousThe Rose of Tralee collects her new KIA Ceed.